Because I had stayed in for days, and only eaten healthy vegetables (Brocoli, salads, and vegetable juices), fruit (apples, Mandarin oranges -a lot of them-, kiwi's, oranges, banana's) yoghurt and muesli, and some tomato soup and pea soup. I had Influenza, Fever, muscle pain, headaches (very heavy like Migraine, because I couldn't stand light, noise, smells and other strong stimuli) and was alone for days. (Wednesday until Sunday). Sorry, Pete, but plenty of fruit with vitamin C won`t help you much when the infection is in full swing and you prefer to die rather than suffer any longer. You need a much more powerful protective shield. Garlic is such. Not eaten raw this time. Entire heads of garlic over your head for several hours per night. They can provide you with immunity to nasty infections. I have tried it and it really works. 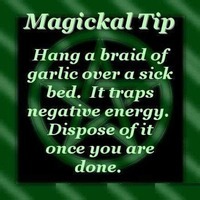 Just hang a few heads of garlic over your pillow. Enjoy a good sleep. You can pierce some cloves for stronger effect. Thanks for your advice. I also use Echinaforce, a fytotherapeutic homeopathic medicine from doctor A. Vogel. 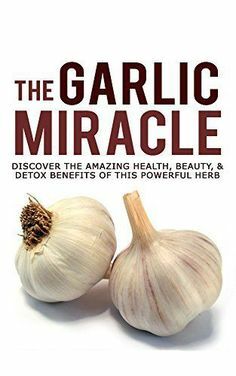 I love Garlic in food, I didn't knew you could use it as medicine. Is this an old Pagan West Slavic method? 1 Thanks for your advice. I also use Echinaforce, a fytotherapeutic homeopathic medicine from doctor A. Vogel. 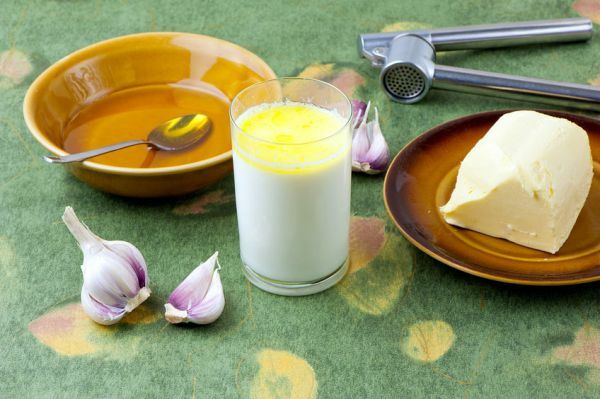 2 I love Garlic in food, I didn't knew you could use it as medicine. 3 Is this an old Pagan West Slavic method? 1 Yes, I remember similar medicine, I got Echina Cea as a child long ago. I found it funny because it had such an exotic name. But I have bad news for you. It didn`t help, either. 2 Garlic has been used as medicine for thousands of years. I could quote you illnesses and diseases that it fights from any book of herbs. 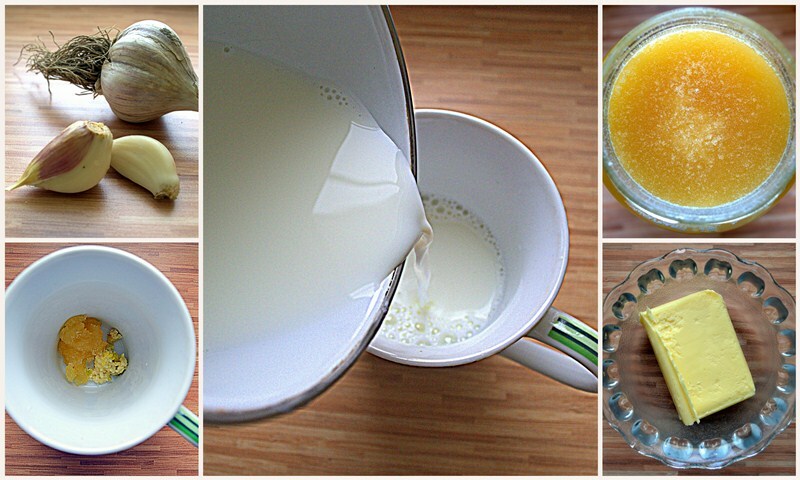 Have you never drunk hot milk with crushed garlic, honey and butter before going to bed as a child ? 3 Yes, apart from infections, it is also good for vampires. I suspect there is one or two in my vicinity. Yes, I was going to add that I know that at least the Germans wear garlic around their necks to ward off vampires. Glad you mentioned that! Really? I thought they wear pieces of metal with "Gott mit uns"
I wasn't referring to soldiers, I was referring to the common volk! Yes, exactly. Ein Reich, ein Volk and Gott mit uns. This garlic is funny, never seen it. It is true helpfull? How, when you not take garlic into your body, no eat it? Garlic even when not eaten creates certain aura which has beneficial influence on you, especially when it comes to common cold, flu etc. It is the end of January and I haven`t had an infection yet. 4 months - my record. You would be better off chewing a clove. At least it would ward off anyone with a real cold from coming near you. 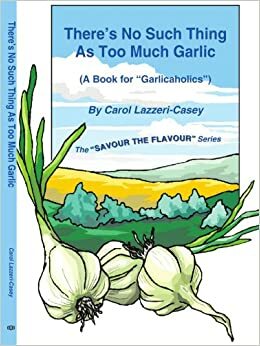 I will tell you that should you have a cut on your hands you would do well NOT to handle garlic, as it will slow healing. Hmm, there is one problem, though. I gnaw on cloves, too, but I am able to do it only during the day. At night, when I normally sleep, it is impossible. What is even worse, consuming garlic is considered a powerful aphrodisiac. I had to cut on it because wy wife is usually more tired and has more headaches in winter time. But I wouldn`t call it nonsense, it is too fast a judgement. In the past chewed garlic didn`t save me in flu/cold seasons, but hanging stuff seems to work. As for handling garlic with cuts on hands, I don`t do it because it is painful. Burns! PS. OK, guys, let`s just wait. If I manage till spring without infection, this magical trick will be proven. I can check this garlic maybe, but I not need much becaus I am strong for illness in type of flue. I haved flue when I was very small. It is late February and I have been standing firm against infections since October when I hung that garlic over my head. So far I have come into contact with tens of cold/flu infected pupils and students at school and private lessons, a few infections have tried to develop in my organism but they were defeated by the garlic. Do you think I should wait till spring to give the final verdict? It`s spring now, it seems I have managed to avoid major infections since last October when I hung that garlic. A few times I thought I wouldn`t be spared. E.g., a few days ago I was on the verge of coming down with sth nasty after all my family took turns getting ill for two weeks one after another, some twice, with doctors and medicine involved. I felt pain in my chest (the same I usually have during bronchitis) and my nose started getting runny. But I slept longer under my garlic shield (10 hours while nornally I sleep 6)and the next morning everything was OK. Amazing. I had thrown away the old shield, some cloves were nearly black, they had absorbed so much bad energy. New one is much more powerful. I think perhaps the cloves were black because they were moldy...not full of bad energy. No, they dried and became black after absorbing bad stuff which had been trying to infect me. I know it is hard to believe, but when I am saying it works, I mean it really does. PS. On a serious note - this is the first year in my long life when I haven`t come down with anything nasty during autumn-winter season. PS2. Guys, garlic doesn`t cost much. Give it a try if you have poor immune system like me. I'm happy for you that you did not get sick this year, but I am still skeptical as to whether it was the garlic that kept you sickness-free...especially since you had it hanging over you! I'm thinking it's more likely that after so many years of catching every germ your students brought to school, you have finally built an immunity to all of them by now!! p.s. My daughters swear by kombucha for keeping them healthy...it seems to be working! I refreshed the garlic supply over my bed. It is mid November and I haven`t fallen prey to any major infection yet, though all my family members have, some twice so far. I contact infected people every day and nothing. So why haven't you hung garlic over your kids' beds?? Because they are as sceptical as you. I may be skeptical, but I would be open-minded enough to give it a try...after all, what harm would it do to have garlic hanging over my bed?? The worst that could happen would be nothing! !